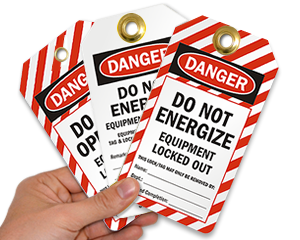 Build awareness in your facility that reinforces your safety training - grab a tag that sends the right message in the right place. 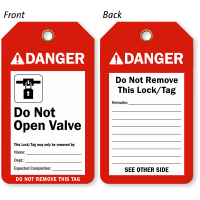 Each tag features durable construction and reinforced eyelets, so your instructions can be seen in an instant. 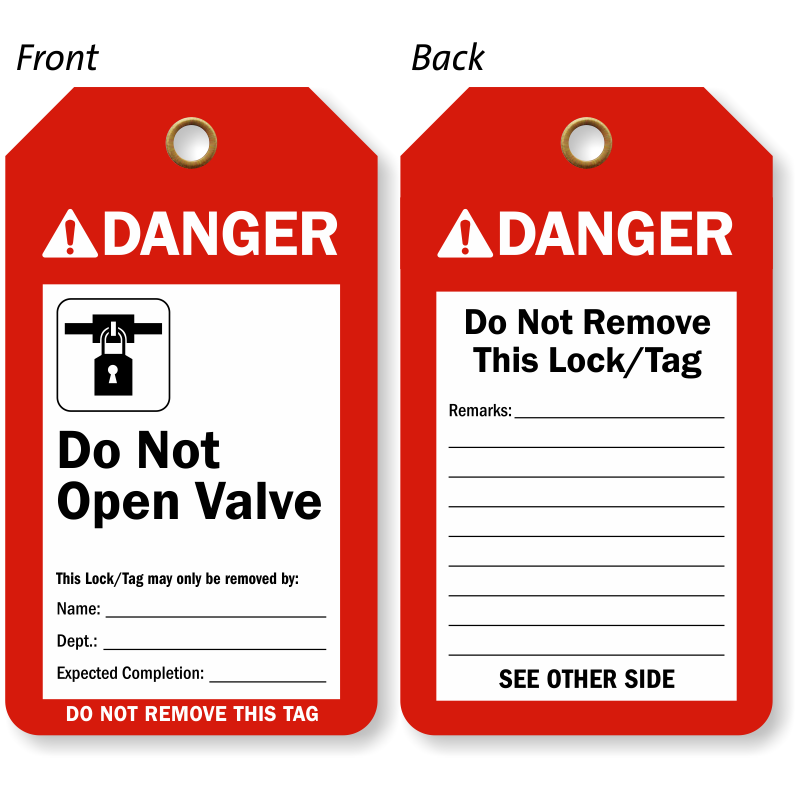 When in doubt, hang a durable tag on your equipment to prevent a dangerous accident and save valuable time. 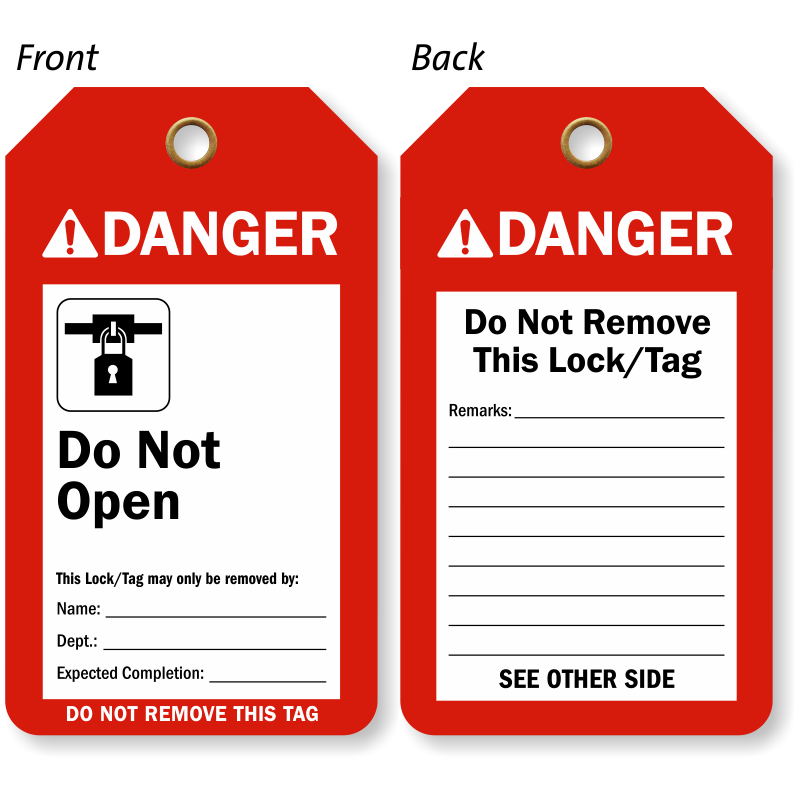 • These tough tags feature a brass-reinforced eyelet for a long-lasting design. 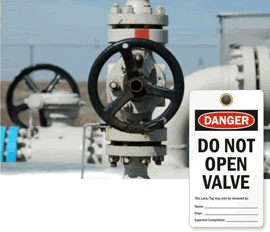 • Write on these Do Not Open tags with a pen, pencil or marker for a more detailed message. 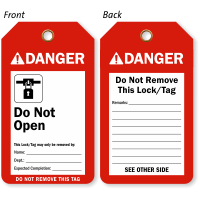 • Tags feature nylon loops for quick hanging. • These designs are available in reusable laminated and vinyl materials. Click on a tag for more information.